According to "two people familiar with the matter", Sprint's dedication to the troubled LightSquared project of billionaire Philip Falcone is quickly waning. 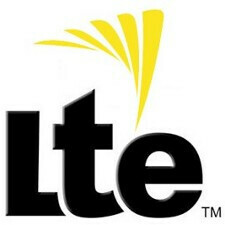 The carrier is supposedly ready to announces it will ditch its agreement with the LTE wholesaler as early as next week. Sprint signed an 11-year deal with the venture, provided that LightSquared receives all the necessary regulatory approvals by December. Witnessing the troubles with GPS systems interference causing the FCC to block the network expansion, Sprint pushed its own deadline until March 15, but is unlikely to do it again. The deal was supposed to see LightSquared receive 13.5 billion over the course of 11 years of payments and service credits combined, in order to allow Sprint to use its LTE network. Oh, well, it's back to square one and Clearwire for Sprint's LTE now. Mr Falcone was hoping to become a dumb pipe network wholesaler and rival the largest US carriers, investing $3 billion of its own hedge fund money in LightSquared, so this is just another blow to the already long list of troubles for the venture. I see this Lightsquared thing ending up in court for some reason, with GPS and FCC on the receiving end of the suit. I've been saying that Sprint should use Clear rather than Lightsquared, since Sprint is majority owner of Clear. They should just buy the rest of Clear so that they could do what they want. Lol, you can't install a new radio ota. Squallz506, I couldn't have said it better myself. The people who have sprint phones now will have nice paperweights and media players in a few years. The 3G and iDen networks are being shut down, and the 4G WiMAX network is going the way of the dodo because Clear hasn't found it to be good enough, and will be sacrificing it to convert to LTE, which requires all new radios and transmitters This is why I only use GSM carriers. It's a global standard, it's integrated with UMTS (HSUPA and HSPA+, considered to be 4G) and a simple SIM swap lets me switch phones at will. Well, considering Verizon shares some of its network with Sprint and others I wouldn't be surprised if there was a short term deal between the two. Verizon's putting up more towers and in the process of buying more spectrum. I would assume that Sprint phasing out its iDEN network would be used for LTE instead. Guess I was wrong.? I am very surprised that the Sprint CEO still has his job. Usually a public company would've already burned him at the stake for half of what this bozo managed to screw up. I don't understand how writers of these articles keep thinking that sprint is relying on a particular company for lte..... Its been reported countless times and a basic google search on sprints Network Vision plan would show the average person what sprint is doing. Sprints lightsquared deal comprised of sprint hosting their (lightsquareds) lte frequency on their new network vision towers and Sprint being paid money by lightsquared for that build out and hosting. All the while Sprint running their OWN LTE network off their 1900 mhz frequency. And yes, the nextel network is being shut down slowly. that 800 mhz band will then be refarmed for 1xx and LTE. And of course if the network for lightsquared was built out, there would be roaming agreements between the two. clearwire is a whole other mess considering they run at 2.5ghz and that frequency had poor in building penetration. Don't forget also that just because Sprint is the majority shareholder in Clearwire the deal is structured so that Clear still has the controlling interest in the venture.